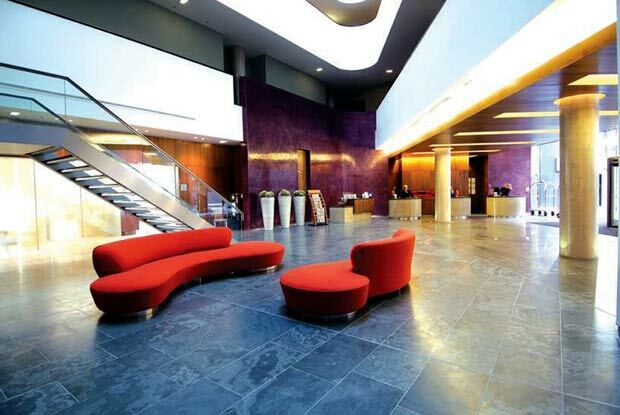 Hotel flooring is important when it comes to attracting customers. It is for this reason that the flooring for a hotel needs to be durable, attractive, cost effective and easy to maintain. You will want the areas that receive the highest number of people to withstand the everyday pounding and the flooring to maintain its glare just like the moment when it was installed. Considering all the specifics made above, finding the right hotel flooring that will fit within your bill can be a little hectic. However, the technology today has revolutionized the world of hospitality such that even the traditional floor has been updated to address its initial flaws. Here are a few types of hotel flooring available today. Carpets have always been the most common option for flooring in hotels. They have been the desired option for flooring due to their warmth and luxurious nature. Carpets are also the best sound insulators, a feature that makes them important in a hotel setting. If you factor in quality, then carpets can be one of the cheapest flooring options. It is usually easy to install compared to its alternatives. However, you will need to conduct more carpet replacements than any other choice. Rubber flooring is a water-proof and naturally hygienic option. It offers the cushioning, sound-proof as well as the insulation that is required in a hotel setup. Rubber flooring is easier to clean than its alternatives. Additionally, it is resistant to stains, durable, and can withstand the weight in a high traffic area. This option does not give the luxurious look that its counterparts give, but it is the perfect choice in case you are going for the industrial minimalist look, a look that is trendy these days. This is another popular option in hotel flooring. It brings out the aesthetics and practical touch in a hotel setting. They are durable, stain-resistant as well as easy to maintain. Here you are presented with a variety. Laminate and vinyl flooring comes in different colors and designs. The replica of natural materials gives its rather inexpensive look a more luxurious floor covering. This option gives the look of marble, slate, brick, or wood for a fraction of a cost of the real thing. This is another option that brings along aesthetic and durability values. It is easy to maintain, and therefore, making it easy to maintain. They are easy to replace when they get damaged. This is one of the most expensive choice, but it can last long. The variety of shapes and colors offer various options to any type of décor. These are not the only types of flooring in hotels. There are many others and even a combination of the above types. All you must do is pick the one that suits you. Benefits of Basement Finishing Projects!